Since the Eighteenth Amendment passed seven years ago, the winemakers of California have faired poorly. My aching bones faired just as poorly after sixty miles of rough Sonoma County road brought me to my first stop on a tour of some of California’s now defunct wineries. The scenic Kaštel Estate Winery, and its winemaker Andre Maras, have weathered prohibition by producing sacramental wine and table grapes. I was led to Maras’s office, deep in the recesses of the wine cellar. “A lady reporter?” he asked, upon seeing me. He chuckled, shook my hand, and showed me to a stiff looking chair. Ledgers and papers littered his desk. From the cluttered and cozy appearance of the office, I would venture he rarely leaves the place. 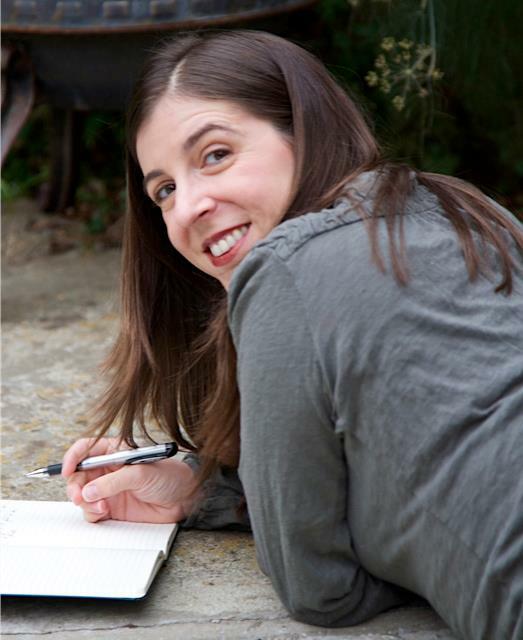 And yet, Maras is a veritable bear of a man whose stature testifies to many hours spent in the vineyards. If only a few more of San Francisco’s bachelors were so well built. Though his words were prideful, he said them so neutrally I believe he had no intention of insulting his fellows. Rather, I gathered, he is the type of man who is perpetually self-assured. “In a manner of speaking.” He flashed a smile surely meant to disguise the evasion. “Not at all.” He brushed his hand across his desk dismissively. I found his equanimity stunning, and, apparently, he had nothing more to say. He made stilted chitchat, while serving a plate of fruit and cheese, but of course, no accompanying glass of wine. I expect to find his fellow winemakers far less stoic. You can discover if my prediction is correct in the next installment of this series, to be printed next Tuesday. Blood Vine is now available for puchase at Amazon! 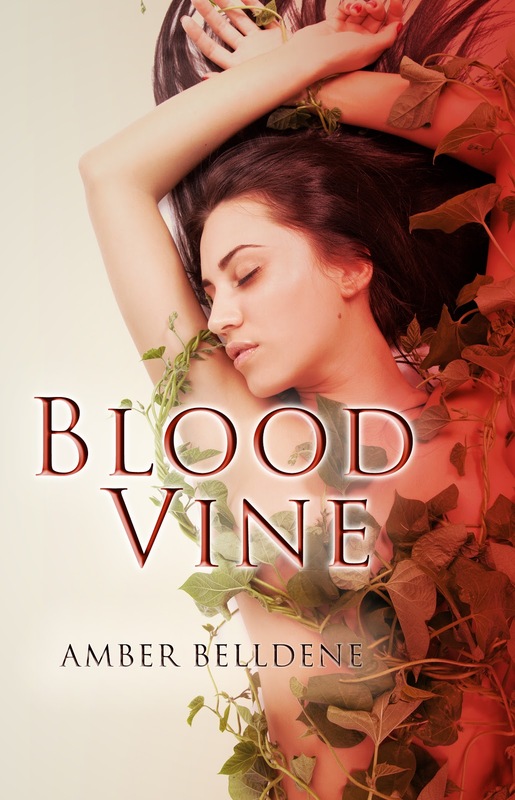 ~One (1) e-book copy of Blood Vine by Amber Belldene - International. 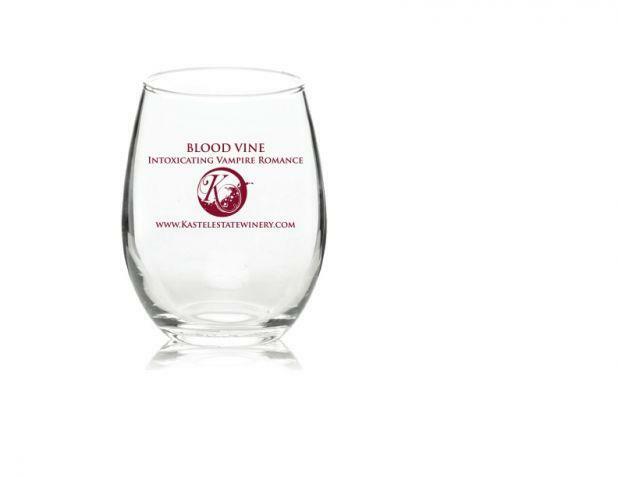 ~One pair Blood Vine wine glasses - U.S. & Canada residents only. ~Tell me which prize you would prefer in order. ~Please remember the wine glasses are for U.S. and Canada residents only. ~Contest ends on Wednesday, January 16, 2013 at 12:01 a.m.
Great Andre interview. Nice to read a piece set before the novel's time period.